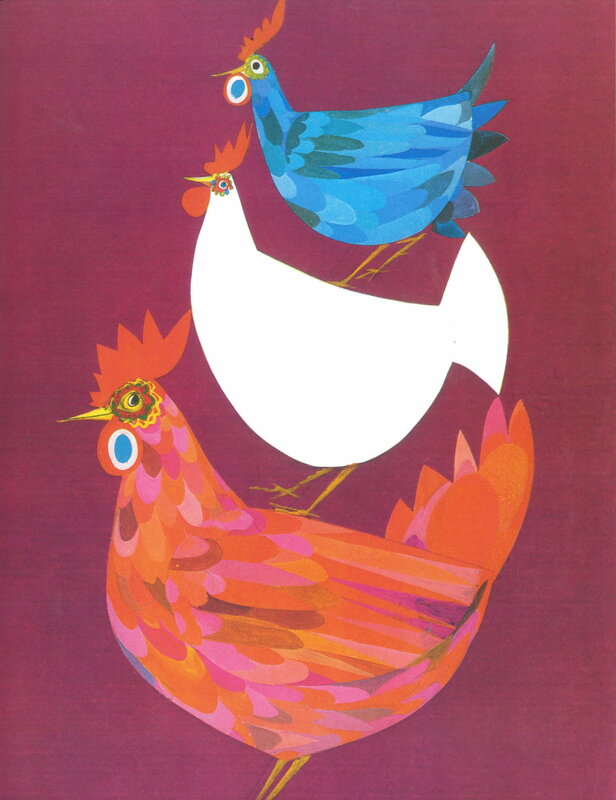 Brian Wildsmith, came to prominence in the sixties as one of the great innovators in children’s picture books, combining words and imagery in striking new ways. 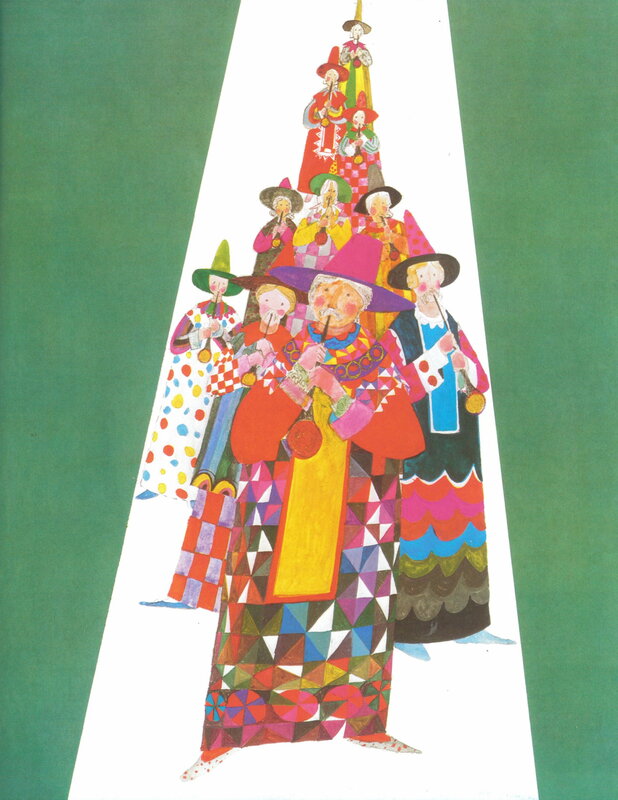 He produced many Christmas books during his career including Mary and A Christmas Story, taking the traditional story of the Nativity and reinterpreted it in his visually arresting style. 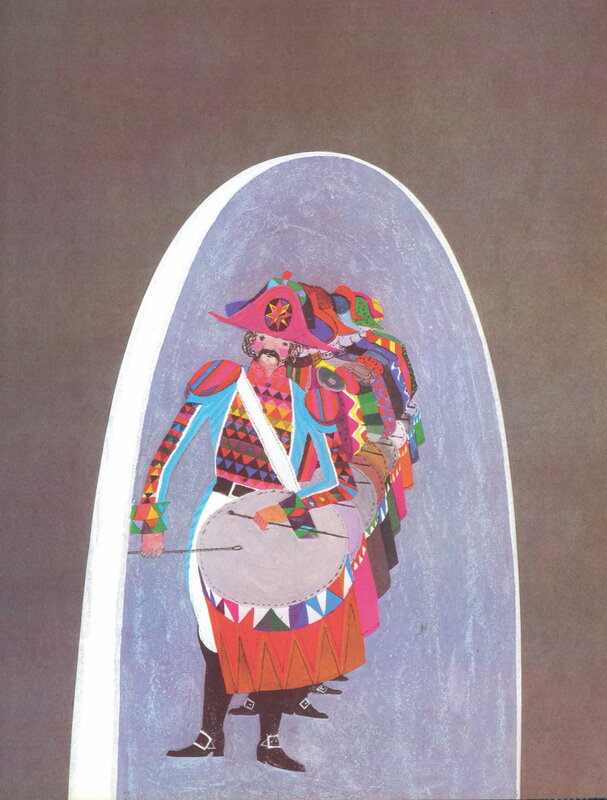 Here he turns to a Christmas song, the Twelve Days of Christmas, and creates a picture book with echoes of his first title, Brian Wildsmith’s ABC. Although not quite as wordless as that groundbreaking publication, it is still the pictures that do most of the talking here. 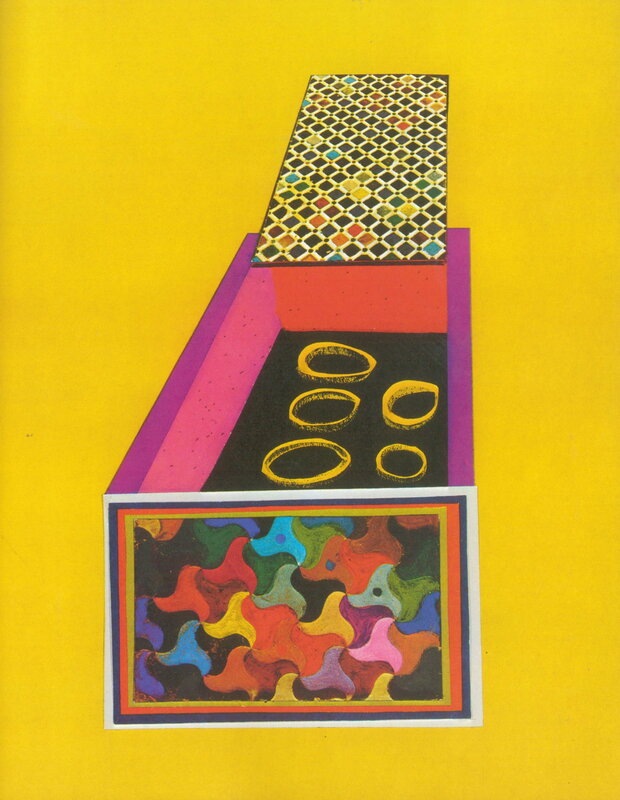 Playing with perspective and pattern throughout and filled with a rush of psychedelic colours, you could imagine both young children and their slightly stoned elder siblings getting lost inside the pages of this book back in December 1972. 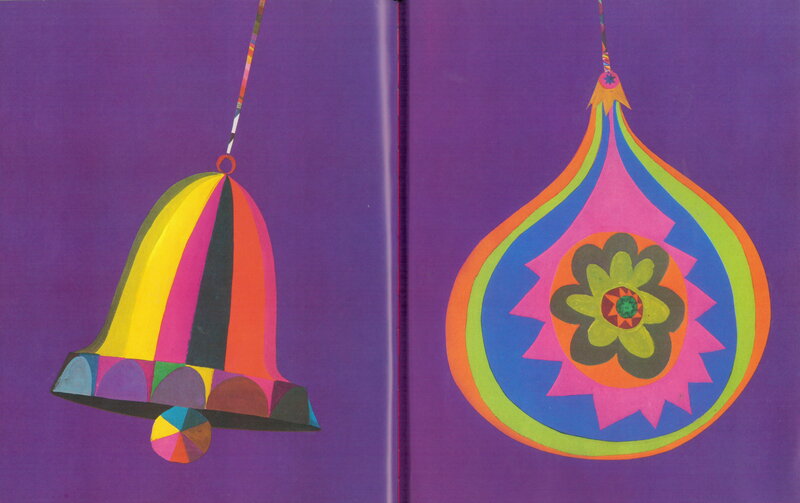 The generous endpapers are a particular treat, depicting an assortment of wonderful Christmas decorations – baubles, bells and paper lanterns – candy coloured and strongly reminiscent of my own 1970s Christmases. It’s worth tracking down an early edition of the Twelve Days of Christmas if you can (please Father Christmas), as it comes with plentiful monochrome pen and ink drawings accompanying the text facing the main colour pictures. The Twelve Days of Christmas is published by Oxford Uni Press. Tags: ABC, Brian Wildsmith, twelve days of christmas. Bookmark the permalink.